POLAND’s Port of Gdansk has been handling the world’s biggest containerships since August 2013 when the 18,270 TEU Maersk Mc-Kinney Moller made a call. 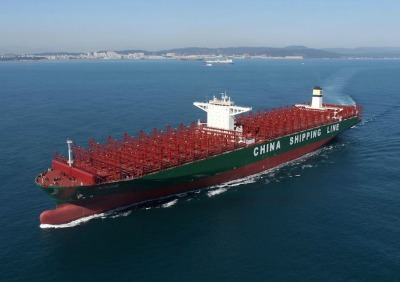 A year later, the size record was broken by China Shipping Container Lines, which put an impressive containership, CSCL Globe, into operation in 2014. But a month later, in December 2014, the even bigger MSC Oscar was put into operation by the Mediterranean Shipping Company. Now, its twin, MSC Maya, a year younger, as it was built in 2015 in a South Korean shipyard, visited Gdansk. The ship’s design makes it possible for it to carry nearly a thousand containers more than the Triple-E class vessels which called at Gdansk’s port before. MSC Maya was designed to move 19,224 TEU, which – when put one after the other – would stretch 117 kilometres.